ENERCON, one of the world’s leading companies in the wind energy industry, established the manufacturing cluster in Viana do Castelo and Lanheses in Portugal in 2006. The company has since been an important contributor to the infrastructure, employment and the economy of the region. ENERCON invested €200m in the facility, which also included the transformation of an old shipyard into a modern construction plant. The first factories started production in 2008, and the whole centre was fully operational by 2010. Covering an area of 250m2, the sites focus on the integral production of two wind turbine models as well as components for other turbine models. These include blades, generators, mechatronics, and concrete towers. They have a maximum yearly production capacity of 400 generators, 300 concrete towers and 1,000 blades. Direct and indirect employment as a result of these activities is around 2,500 jobs. Out of this, 1,500 are directly employed by ENERCON as either engineers for the manufacturing and assembly of turbines and components, technicians for the servicing and maintenance of wind farms, or administration staff. ENERCON has invested in demonstration and training to transfer know-how to its local employees and other companies which serve the wind industry’s supply chain in the region. The plant generates further benefits to the local economy, in particular by stimulating the industrial activity in the Port of Viana. 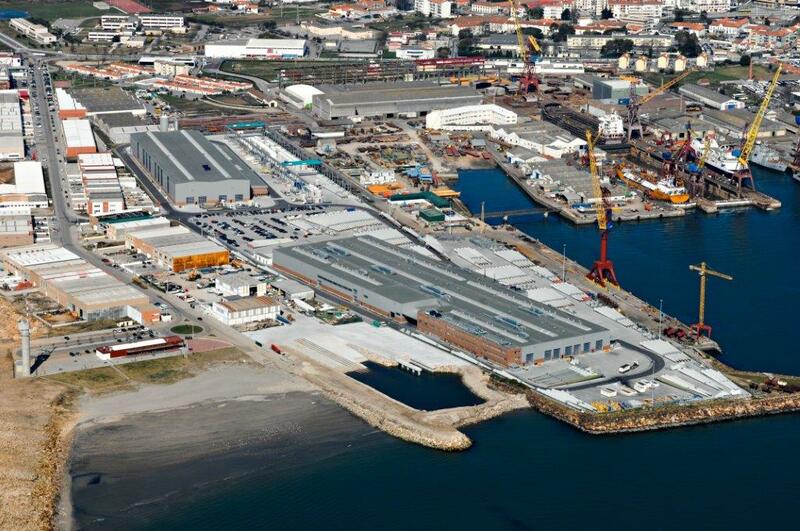 To facilitate logistics and transport, ENERCON has improved the local infrastructure in Viana do Castelo and Lanheses. New roads and new roundabouts have been built that not only allow direct access to the factory, but also easier access to Praia Norte and Lanheses. Initially the manufacturing cluster mainly served domestic activity in the country. Portugal is a great resource for renewables and wind energy, for the region as well as the whole of Europe. ENERCON turbines today provide around 11% of Portugal’s total electricity consumption. However, today the ENERCON factory relies almost entirely on wind power potential in other markets. Since 2014, all production is exported, mainly to South America, Canada, and EU markets. While this makes ENERCON one of the biggest contributors to the Portugese exports and trade balance, a revival of domestic activity is also essential for tapping the country’s wind energy potential.